There's a joke that aspiring attorneys go to law school because they aren't good at math. But it's no joke when it comes to calculating referral fees and fee-splitting between attorneys. Make a mistake, and it could cost you that law license. Fortunately, there are some professional rules for that and they can save you a headache when trying to figure it out. There is some wiggle room in dividing the fee if the lawyers assume joint responsibility. And, as with all fee agreements, the fee must be reasonable. The ethical issue is actually harder than the math. Is it fee-splitting or a referral fee? If the agreement between the lawyers is based on a percentage, flat-fee or contingent recovery of attorneys fees, it is probably subject to the rule. But if a lawyer pays or receives money simply for the referral -- without actually working on the case or assuming any responsibility for it -- then it is something else. The rule is aimed at lawyer advertising, and referrals are the best form of advertising. They are basically endorsements. 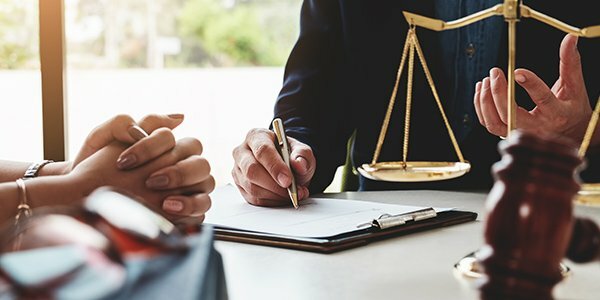 So many attorneys avoid referral fees altogether to avoid potential ethical issues -- such as referring cases based on financial considerations rather than client interests. That, and the math problem.